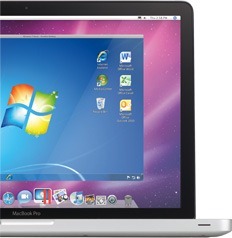 Map Mac Parallels "Delete" key to "Backspace"
Parallels is a software product that allows users to run Windows 7 on their Mac computer. I must say, it works pretty darn well. The only real annoyance I have encountered thus far is how Parallels maps the “Delete” key. This makes the Delete and Backspace keys confusing. The Apple Mac “Delete” key and the Windows “Backspace” key are located in the same (approximate) location on the keyboard; and both keys even function the same on a Windows computer compared to a Mac computer. They delete the characters to the left of the cursor. However, for those who use Parallels to host a virtual Windows 7 machine on their Mac computer, the Mac keyboard “Delete” key deletes the characters to the right of the cursor, which was driving me crazy. The user must press fn+Delete to perform the standard Windows backspace to delete the characters to the left. This may only be a problem for people using a Mac notebook keyboard or an external Mac wireless keyboard. I expect this is not a problem for those who use an external Windows keyboard on their Mac – assuming those people even exist. Here are the steps to change (re-map) the “Delete” key to the standard Windows “Backspace” key on your Windows 7 machine running in Parallels. I prefer this because it provides a consistent action for the “Delete” key – it always deletes the character to the left of the cursor regardless of whether I’m using Windows (named “backspace”) or Mac OS (named “delete”). 1) Open the Parallels Preferences. You can find the Preference menu option by holding the “option/alt” button and clicking the red Parallels icon ‘||‘ at the top of your Mac desktop. 2) Press the “+” button at the bottom of the shortcuts list to add a new ‘shortcut’. 3) In the “From” key section, press the Mac “Delete” key. The word Delete will appear. 4) In the “To” key section, select the “Backspace” key in the drop down box. 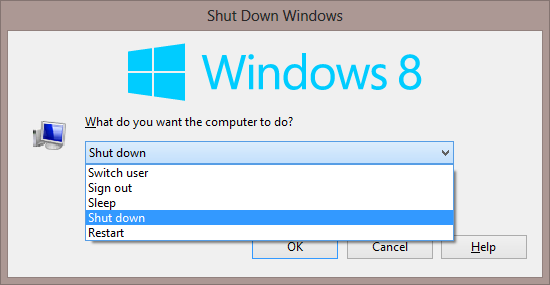 Now your “Delete” key will perform like a Windows Backspace key, deleting the characters to the left. Remember, you can also press fn+Delete to perform the standard Windows Delete key to delete the characters to the right.